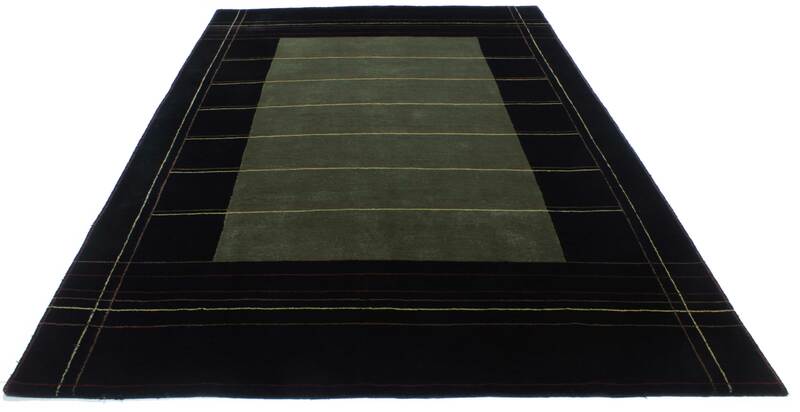 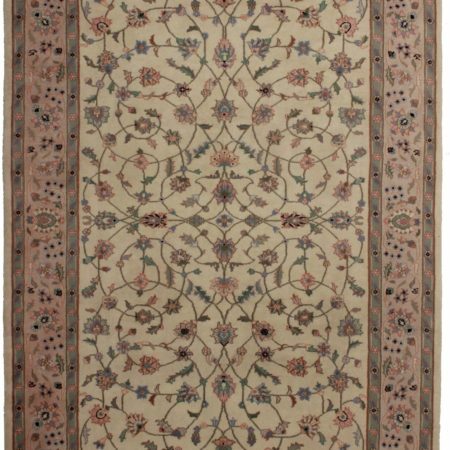 New Hand Knotted Indian Tibetan Wool Rug 14442. 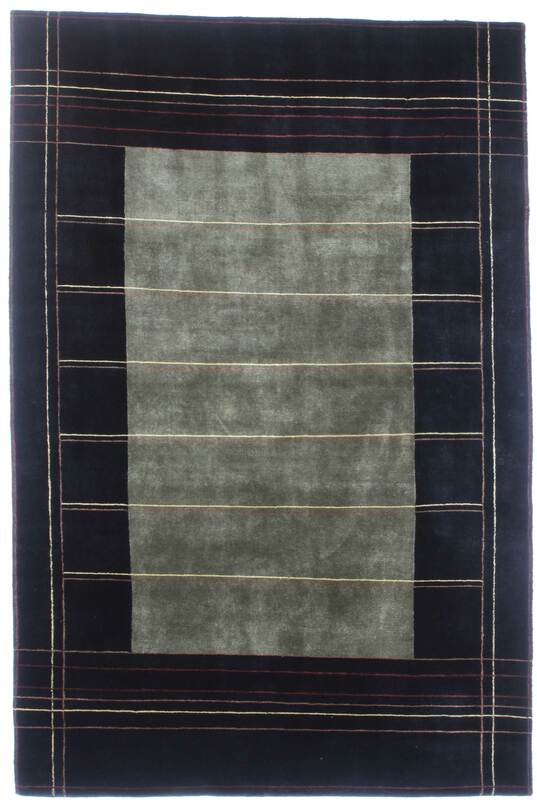 Soft to the eyes and elegant, this modern Tibetan wool rug of Indian origin features an open abrashed field of light tones surrounded by a highly contrasting dark outer frame. 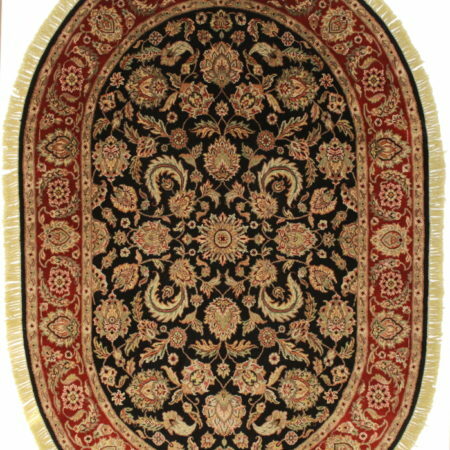 A pattern of parallel and perpendicular lines featured in brown, yellow, and red cross the center of the rug, adding charm and detail. 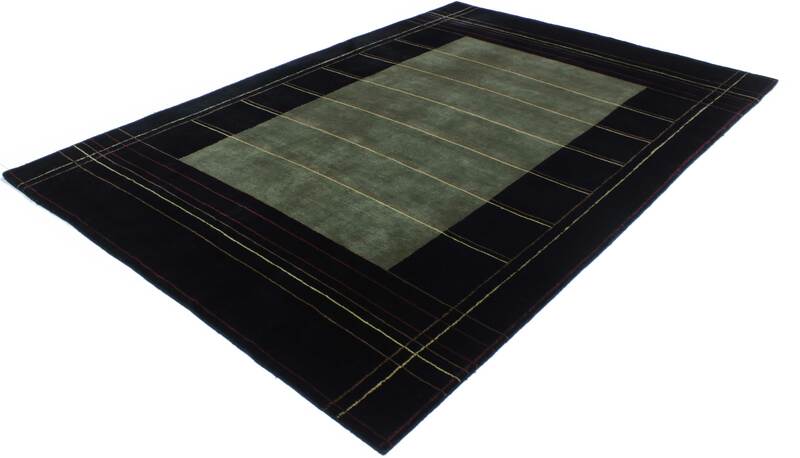 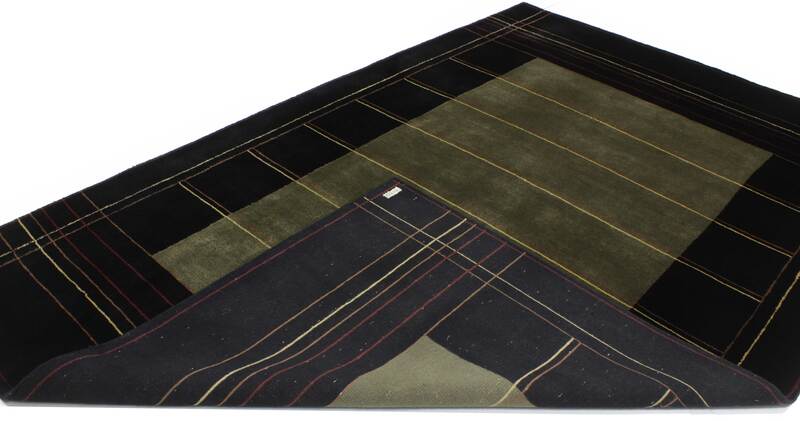 This straightforward and simple design is a clear indication of its aim geared towards rug enthusiasts and decorators who appreciate Modern and Contemporary styles. 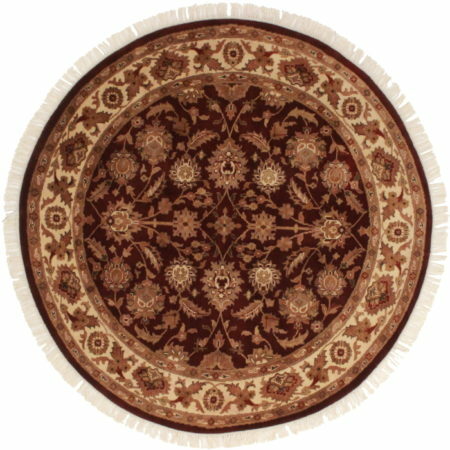 These types of rugs trend today due to their cool vibes and versatility. 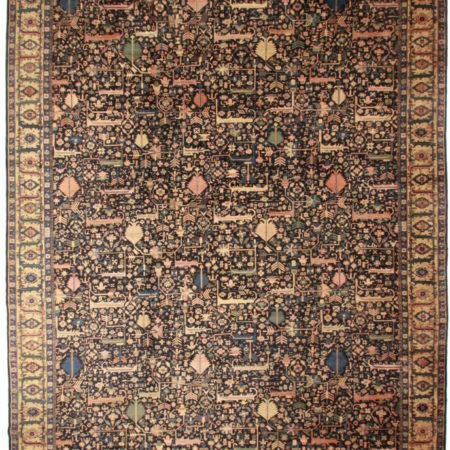 Rendered in variegated shades of black, olive green, brown, red, and yellow.